A study led by BCRF investigator Fergus Couch has shown that 54 BRCA2 variants of uncertain clinical significance are likely to be associated with an increased risk of breast or ovarian cancer. 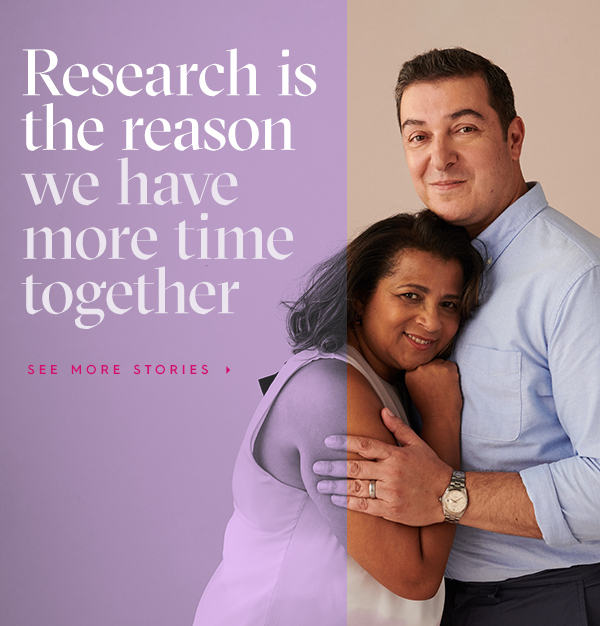 Genetic testing for mutations in the BRCA1 and BRCA2 genes has dramatically improved our ability to understand risk of cancer in families with a high incidence of breast and ovarian cancers. However, in some cases patients receive a result known as VUS, short for genetic variants of uncertain significance. In these instances, researchers have yet to confirm whether these variants are harmless or cancer-causing, leaving no clear path to prevention or risk management. Distinguishing the pathogenic (cancer-causing) from non-pathogenic (harmless) variants in the BRCA genes is a critical hurdle in addressing these challenges and achieving precision prevention. In an article published today in the American Journal of Human Genetics, Dr. Fergus Couch and his colleagues describe methods to classify BRCA2 VUS and quickly determine the potential risk they pose to those affected. The study, supported in part by BCRF, is groundbreaking in its validation of a quick and reliable method to predict the clinical significance of BRCA2 VUS and could have immediate impact on how these specific variants are interpreted clinically for cancer surveillance and prevention. “This method appears to be a very accurate way of identifying the VUS that influence BRCA2 activity and increase cancer risk as well as VUS that do not alter BRCA2 activity and are likely benign,” Dr. Couch explained. Dr. Couch and his team used functional tests and DNA sequence analysis to evaluate 139 BRCA2 VUS. They then combined these functional data with a statistical tool called VarCall that incorporates the functional information of the variant into an algorithm to assign it as likely to be pathogenic or neutral (no affect). Their rigorous study revealed 54 of the 139 VUS to be pathogenic – or likely to increase the risk of breast or ovarian cancer, while 73 of the variants were most likely not to pose any risk. Prior to the study, there were only 13 BRCA2 VUS classified as pathogenic. The rapid progression of DNA sequencing technologies that have made genetic testing possible have also uncovered many genetic variants of uncertain clinical significance, called VUS. These variants complicate cancer risk management, because neither doctors nor patients know how a particular VUS may impact individual breast or ovarian cancer risk. BCRF is invested nearly $10 million in studies related in BRCA in 2017. Read more about Dr. Couch’s BCRF-supported research here.